In search of world class efficiency performance, leading European pharma company Krka recognized that its international expansion ambitions depended upon having the best data management technology. Label data management was a crucial part of Krka’s operations and with thousands of products distributed to at least 70 countries worldwide, labeling had become a challenge for the company. The company’s label catalog was fragmented and management of label revisions was particularly difficult, with multiple label templates to maintain. Krka had to devote significant resources to keeping the processes up to date and compliant. In order to maintain the standard that the US Food and Drug Administration (FDA) demands, and to increase its efficiency, the company chose NiceLabel to provide its enterprise labeling solution. This brought improved consistency to its various production units, integrating the many existing systems and achieving a high degree of efficiency, accuracy and consistency. With its previous system, Krka’s IT department was responsible for label design, and hundreds of hard coded label templates led to lengthy cycle times for label creation and change requests. With NiceLabel, Krka shifted label design capabilities to business users. A single, centralized platform for label design, change control, printing, integration and management was introduced, with considerable savings in costs and resources to the company. This meant that the whole process became faster, more streamlined and reliable, with greatly reduced paperwork. The Krka IT department could now concentrate on maintaining the system, removing several layers of complexity from the process and speeding up implementation of the technology. This helped the company to meet tight deadlines as it completed the construction of a giant new manufacturing plant. 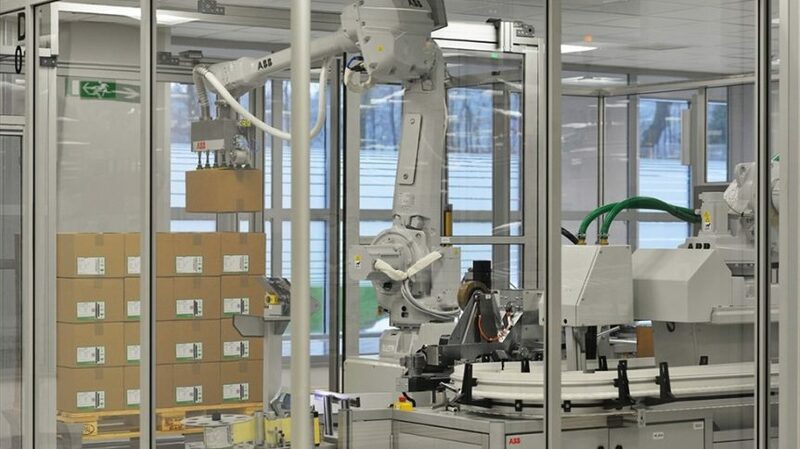 The €200 million, 55,000 square meter Notol 2 facility in southern Slovenia opened on time at the end of 2015 and produces more than 4.5 billion tablets and capsules per year. The plant will help Krka to achieve its growth ambitions, building on 12 percent plus annual sales increases since 2010, with the company now employing more than 10,000 people and achieving annual sales of €1.1 billion. With the introduction of NiceLabel’s technology, Krka’s speed and efficiency has measurably improved, aiding the company’s expansion and taking its operations to a new level.